Check out: A Filly Called Easter. Print copies (my preference as I still love the feel of a good book in my hand) are only available on Amazon. I have just had the chance to read the Free Rein Series: New Beginnings novel by Christine Meunier. New Beginnings is just that. It is the story of a young girl’s dream to learn to ride and hopefully, one day, own a horse. The author, Christine Meunier, writes about stable duties, lessons, life at a stable, and all around horse care, while involving the reader in young Jacqui King’s quest to make new friends at a new school and learn all she can about everything ‘horse’. Jacqui’s parents support their daughter’s dream as they work hard cleaning up a leased property in order to turn it into a fully functional boarding stable, with a lot of love, prayers, and help from their kids. If you are North American like me, it will take some time to learn the Auzzie ‘lingo’ for boarding stable and horse trailers, but you’ll figure it out. This novel is suitable for young readers, especially city girls who dream of nothing but horses. 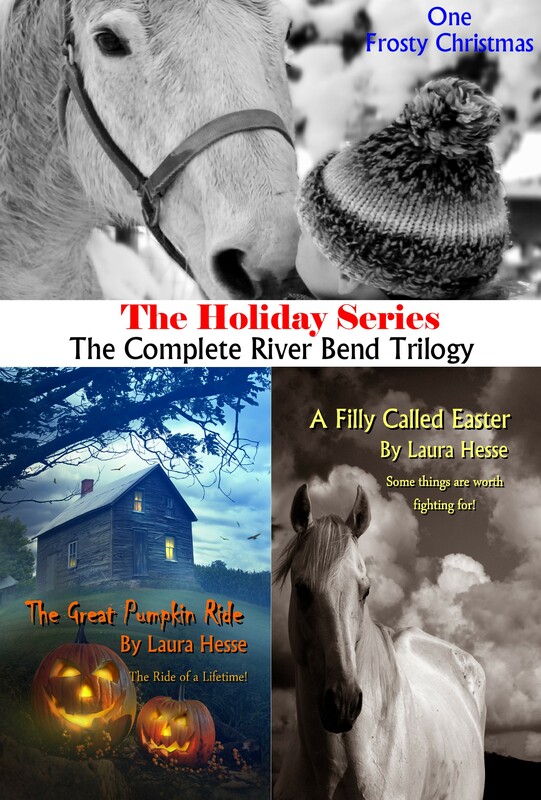 The Complete River Bend Trilogy has a new look and new features. Right now, it is only available in e-book. I have had lots of requests for this trilogy in print format so I am working on re-formatting the e-book and will post a note to everyone when it is complete. The trilogy is only available on Amazon worldwide.